Car rentals are changing along with all of transportation, as new alternatives make standing in line for paperwork and a key less attractive. Some rental companies are both adding new services and changing the customer experience, partly by using much more data. Avis Budget Group plans to make all its cars connected by 2020, giving drivers new ways to rent vehicles and its own team better ways to manage the fleet. The data it needs to do this, which it will eventually collect from all of its more than 500,000 vehicles, now goes to Amazon Web Services for storage and processing. Avis wants to transform car rental, Arthur Orduna, the company’s executive vice president and chief innovation officer, told TU Automotive. One of the first concepts the company is talking about is making Avis’s traditional rental services act more like Zipcar, the car-sharing startup that Avis acquired in 2013. The idea is based on a new “floating” operational model for Zipcar that is already live in London. In it, Zipcar operates like a docked bike-sharing business. Customers can reserve a car in a nearby Zipcar parking spot, authenticate themselves at the car, and drive it away. Then, instead of having to return the vehicle to the same spot, they can drop it off in any available Zipcar spot near their destination. Avis can provide spots at places like stores, office buildings and municipal parking lots. This should make rentals easier for the customer, but making sure there are cars available when and where drivers want them is a headache for the company. If someone drives to a drop-off point where no one wants to pick up a car for hours, that’s an inefficient use of the car, according to Orduna. 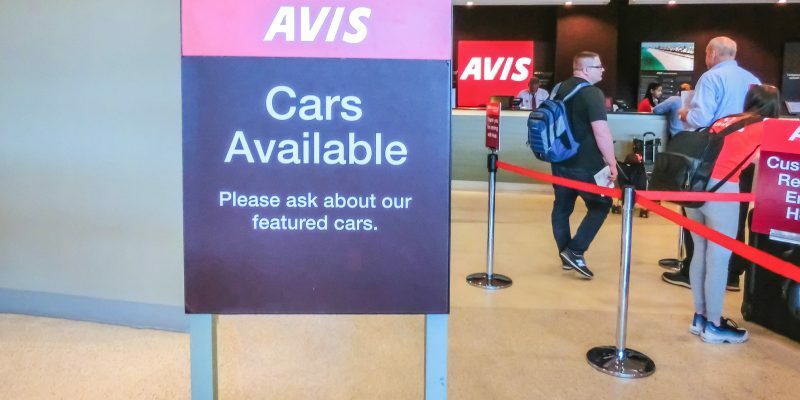 Avis may have a company driver shuttle the car to a spot where others are looking for vehicles. But it may also try to generate demand by promoting a new use for rental cars in conjunction with a local partner, such as a retailer, Orduna said. Either way, matching demand with supply is a big optimization challenge. “That kind of problem set requires really, really strong and cutting-edge analytics and the kind of tools that we can’t develop on our own,” Orduna said. Avis is using new analytics tools in AWS that are designed for connected vehicles and fleet management, he said. It also turned to AWS so it could scale its data operations up and down quickly with the level of activity. Ultimately, Avis wants to collect six types of real-time data from all its vehicles in AWS: Location, odometer reading, fuel or electric charge level, diagnostic codes, remote access and user authentication. Diagnostic codes will let the company do things like read the tire pressure and warn customers it’s getting low before the warning light comes on in the car. Remote access will include the capability to lock and unlock the doors over the air. User authentication is what lets a customer who has reserved a car unlock it and start it. Avis plans to offer an early version of these types of services in conjunction with Toyota by the end of this year. AWS will allow the company to do similar things with cars from other manufacturers, Orduna said. “Our management platform has got to be able to support a diversity of solutions,” he said. The company is also looking at ways to share data with third parties. It’s talking to cities about sharing data on things like potholes, which sensors in Avis cars might be able to detect early. In turn, drivers could get information on traffic and road conditions. And Avis has experimented with sharing weather-related data — like how many of its cars in a given area have their windshield wipers on — with weather services. Avis is facing new competition not just from ride-hailing and car-sharing startups but from new rental companies like Silvercar, which offers a more hands-off, phone-based pickup and dropoff experience. Some traditional rivals are also trying new modes of operation. Enterprise Rent-A-Car offers both Enterprise CarShare, which lets customers pick up and return cars to local parking spots, and Enterprise RideShare, which helps commuters organize carpools in rented vans and SUVs.